They had lost three in a row and their offense had looked non-existent. Enter Andy Pettitte, who was making his second start of the 2012 season against the Cincinnati Reds and looking for his first win of the season. All the Yankees needed was a decent start. Instead, they got a brilliant and dominant performance. Pettitte went eight strong innings, allowed four hits, no runs, walked one and struck out nine batters. On the mound, Pettitte didn't look like he was 39; he looked more like he was 29 and dominated the Reds hitters on Friday night. Pettitte was able to change speeds, use both sides of the plate and kept the Cincinnati hitters guessing all night long. Two important things that Pettitte was able to accomplish in this game: keep the walks to a bare minimum and not allow a home run (like he did against Seattle). Pettitte allowed four singles, but that was it. No extra base hits hurt the Yankees and Pettitte, which was why Pettitte was able to go deeper into the game. He also increased his pitch count in the game with 115 pitches—21 more than he threw against Seattle on Sunday. What was really big for the Yankees was that Pettitte pitched eight complete innings, allowing the Yankees bullpen to get a rest. The offense this time around was able to give him some run support. 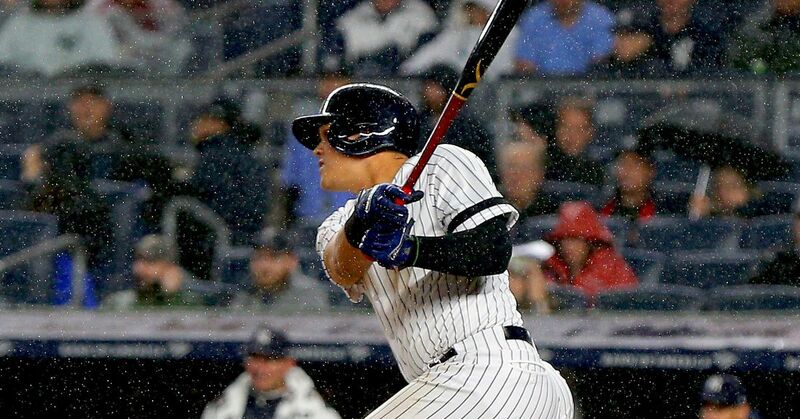 Alex Rodriguez hit a RBI ground-out that made it 1-0 in the bottom of the fourth inning. That one run was all the Yankees really needed with Pettitte pitching, but the offense gave the lead some cushion when Robinson Cano hit a solo home run off Bronson Arroyo to make it 2-0, then Raul Ibanez hit a two-run shot off Arroyo that made it 4-0. That was enough to preserve Pettitte's lead and allow him to pick up his first win of 2012. Now 1-1, Pettitte's ERA goes from 5.86 all the way down to 2.51 and gave the Yankees eight quality and dominant innings on Friday night. As of right now, Pettitte is slated to make his next start on Wednesday at home against the Kansas City Royals. This was a big win for the Yankees and for Pettitte. The losing streak is over for the Yankees and they can now focus on getting back on winning again. And for Pettitte, he gets the first win of the season and can now concentrate on helping the Yankees in 2012. If he can continue to pitch like this in 2012, Pettitte can have a very successful 2012 year.